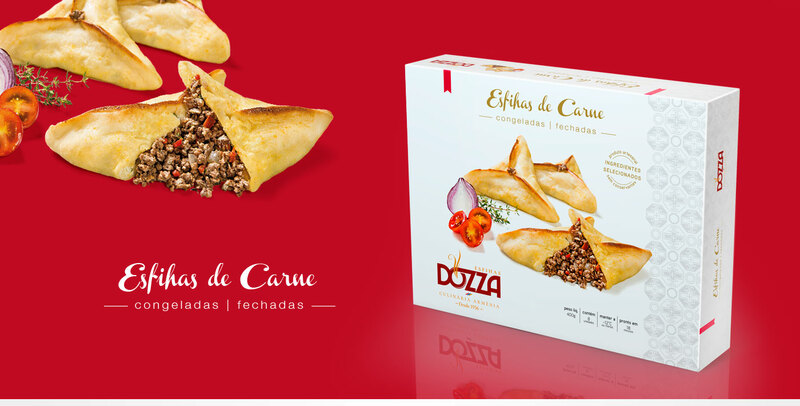 Dozza is a traditional armenian restaurant chain in São Paulo, Brazil. Esfihas are small meat filled yeasted dough. 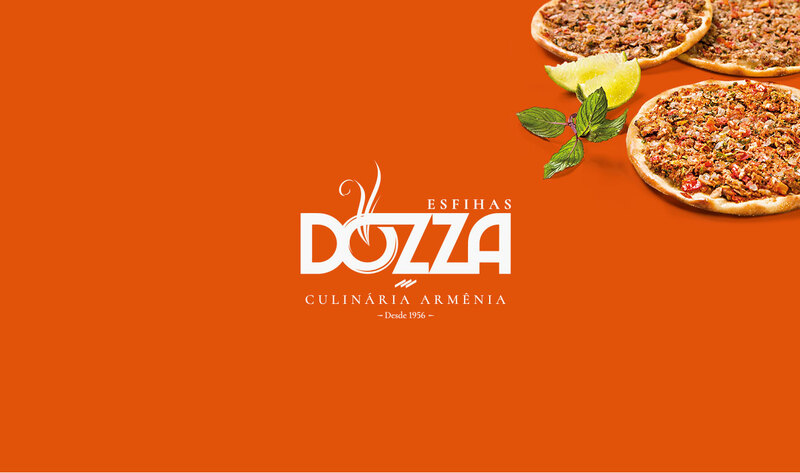 Those who had the opportunity to taste Dozza’s esfihas recognize their superior quality, high standards and traditional armenian quality ingredients. 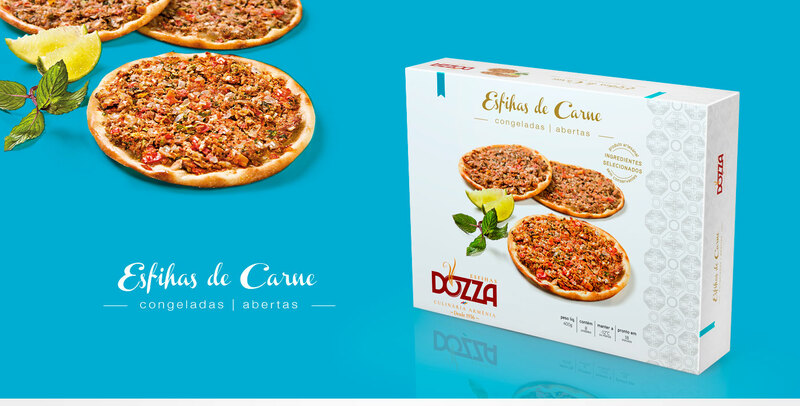 Four flavors compose the line of products: ground steak (open and closed esfihas), spinach, cheese and basterma, a traditional armenian spicy meat. 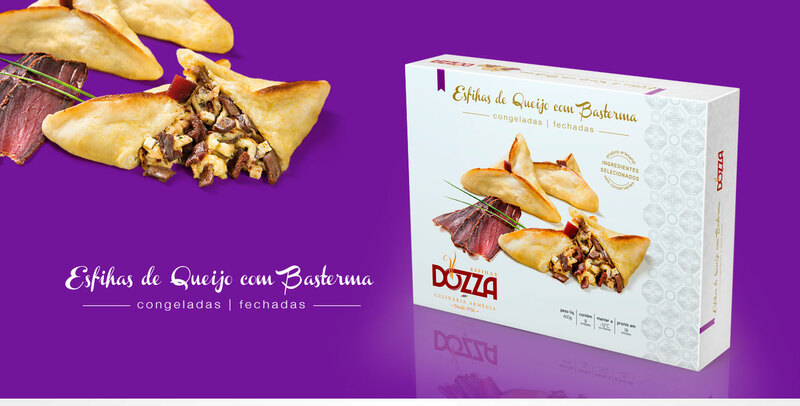 We were required to develop their new packaging design for frozen esfihas. The creative process consisted of a slight brand redesign, product photography and packaging design as well as the catalogue. We opted for a clean, sophisticated, elegant and minimalist design, with sober tones, transmitting freshness and flavor. 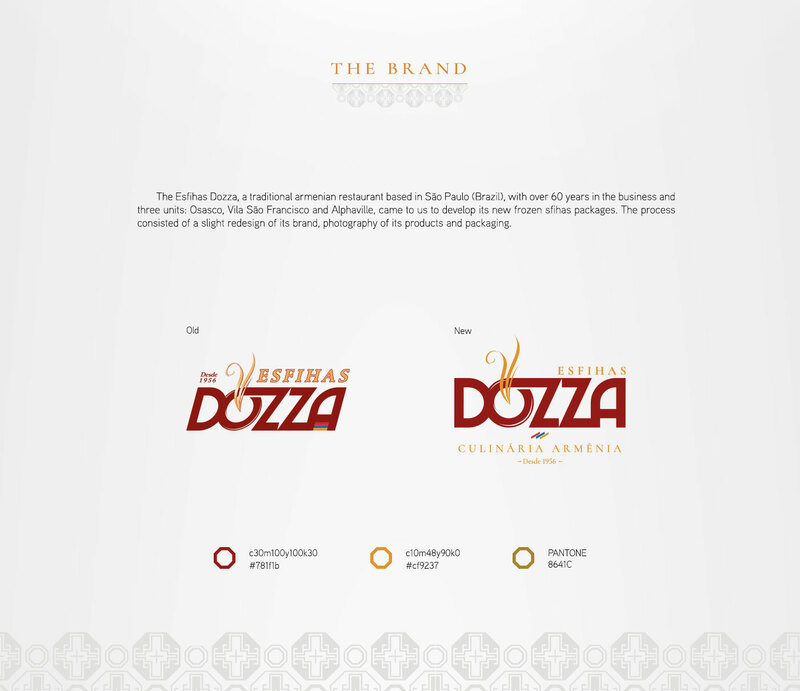 To transmit armenian cultural values into the packages, typical armenian aesthetic elements were brought as a support for visual identity combined with pictures of the delicious products. The redesign gave the brand a better visual reading and impact. 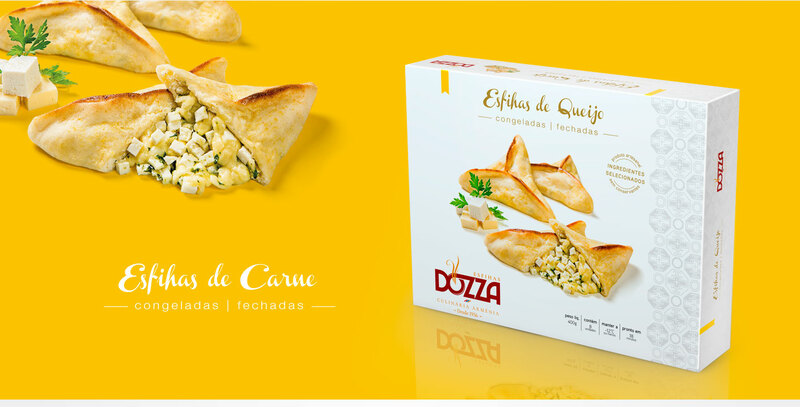 The packaging consists of a card box containing the frozen esfihas placed inside a vacuumed plastic bag. 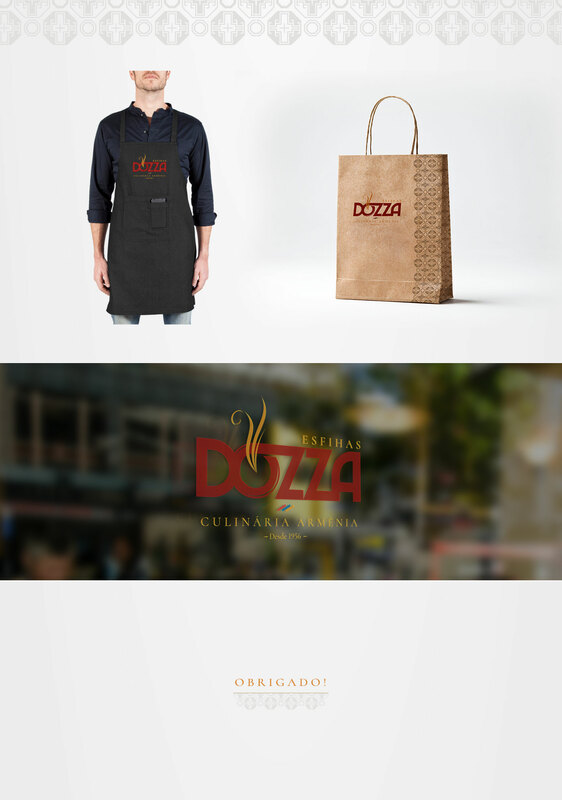 The packaging design came out as a huge success and the final product went beyond expectations, increasing sales to the point that owners are expanding the business to sell not only in their own restaurants but also in grocery stores all over the city.